Welcome to the official website of legendary hot jazz trombonist Abram "Abe" Lincoln! Abe's site will continue to be a work-in-progress as new content becomes available for inclusion. We already have a lot of content we want to share with you. We're still working toward including sound & video clips, articles, more photos, etc. This site's goal is to showcase the life and times of one of the most exciting and underrated hot jazz trombonists in the history of jazz. Former Jim Cullum Jazz Band trombonist and life-long Abe Lincoln fan, Mike Pittsley, is currently in the process of transcribing some of Abe's solos for inclusion here on the website. Check back to see what's new! Speaking of transcribed Abe Lincoln solos, the website's masthead is a transcription of the last four measures of Abe's introduction to "Farewell Blues," as recorded on Southland Records SLP-LP 215. If you would like to see and hear this introduction in its entirety, please click here! Update 1/02/2012: A couple of very obscure items of Abe memorabilia have recently surfaced. First, is a video clip of Abe performing with the Rampart Street Paraders on the July 30th, 1956 broadcast of the Stars Of Jazz television show. Second, is Abe reading a Wheaties commercial on the August 5th, 1950 broadcast of Tales Of The Texas Rangers, along with an image of the actual script Abe used. Update 10/6/2011: Thanks to the kind folks at Capitol Records (EMI), we have received permission to post some previously unpublished photos of Abe from the historic October, 1955 Coast Concert recording session. Click here to see these new photos. Update 7/17/2011: We have just obtained, courtesy of the Ray Avery Estate, some rare photos of Abe taken during the July 30th, 1956 KABC broadcast of the Stars Of Jazz television show (hosted by Bobby Troup). Click here to visit the photo gallery and see these photos. 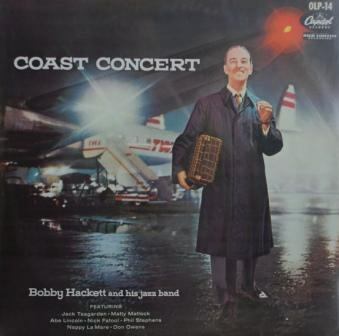 Update: 11/1/2009: - Dallas area musician and Abe Lincoln fan, Bob Burnham, has very kindly taken the time to transcribe some of Abe's solos from the 1955 Capitol Records classic, 'Coast Concert.' You can navigate to these solos from the Solo Transcriptions page. 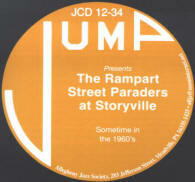 Update 10/20/2009: A previously unreleased recording session of the Rampart Street Paraders has now become available on CD via the Jump label (JCD 12-34), courtesy of the Allegheny Jazz Society. This CD is available from many sites online. We're going to try and make it available here as well. In the meantime, click here for a Google page of sites where this album can be purchased.